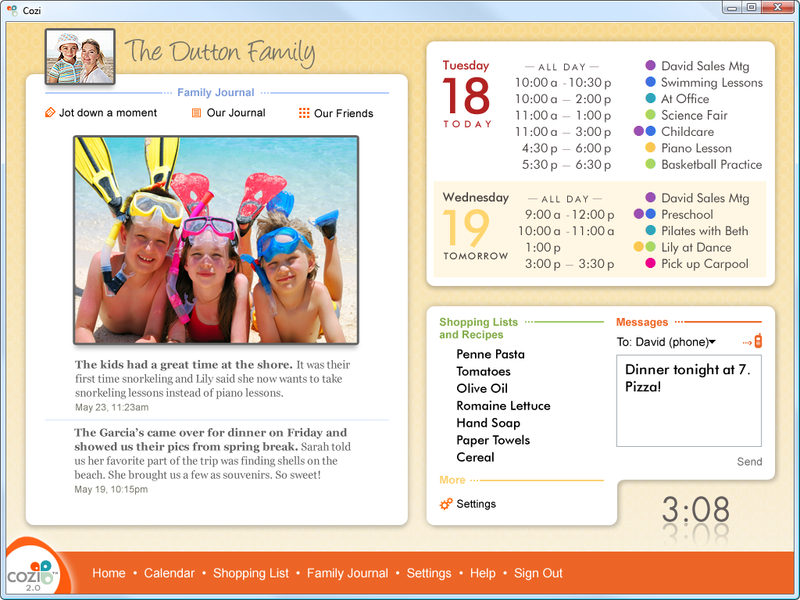 Cozi.com helps families get organized | Tech for Lunch! If you have a family to keep organized, communication is a crucial part of that equation. Whenever I start something new, whether it’s a project of just some new habit I should have, I always look for a way to make it fun by involving a software or a website to give me an excuse to use the computer. Cozi.com is one of those cool web-apps that gives the geek in you a cool way to keep tabs on that hectic family schedule. I can tell you first hand that Cozi is a very useable tool if your family is on the go. There are no excuses for your tech-savvy kids not to use the site as well because they can get everything on the move. Cozi offers mobile web access, SMS and even lets you call-in through a toll-free number to have your lists and schedules read to you. All of these features will let you work with your iPhone and any Smartphone. If you also like to use smartphones with Outlook, Cozi offers a plugin for outlook that will let you synchronize everything in your Cozi account with your Outlook. This can be very useful if you don’t always have an available internet connection. Aside from all the cool features and the nice way to implicate my family in my techno-crazed lifestyle, the interface and ease of use are the things that have caught my attention the most. This is a great example of a very well done Web 2.0 application. You get a framework that lets you do exactly what it was designed to do, and your data isn’t trapped inside of it. You can access everything in more than one way. 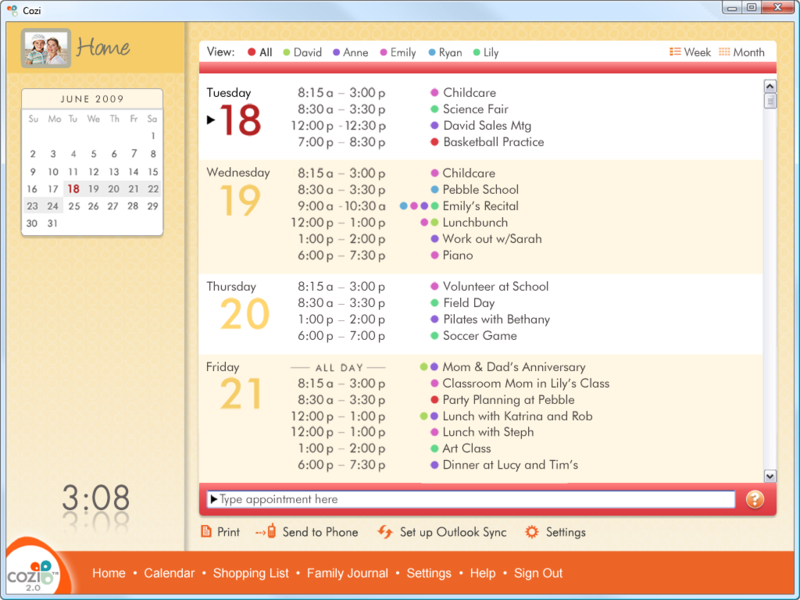 Even without a family, Cozi can help you or any group get organized. If you live with someone, you may want to give this one a try!